By far the best location! See for yourself why we are a top rated Hostel in world's major travel guides . 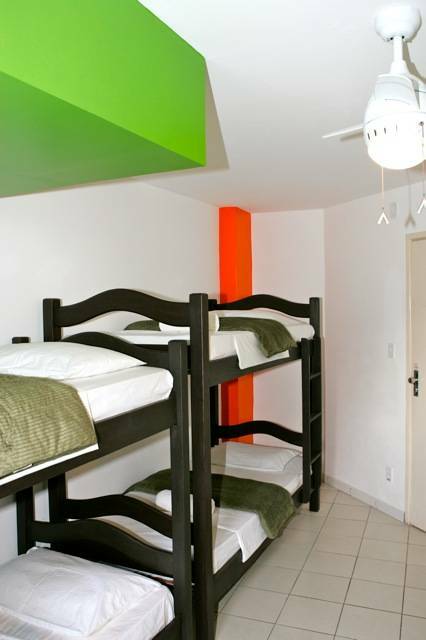 Our wonderful hostel was recently renovated. 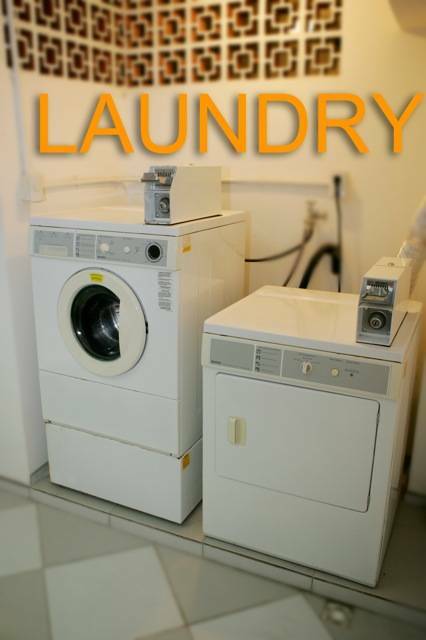 We offer clean and modern accommodations just steps from the beach, shopping and restaurants. 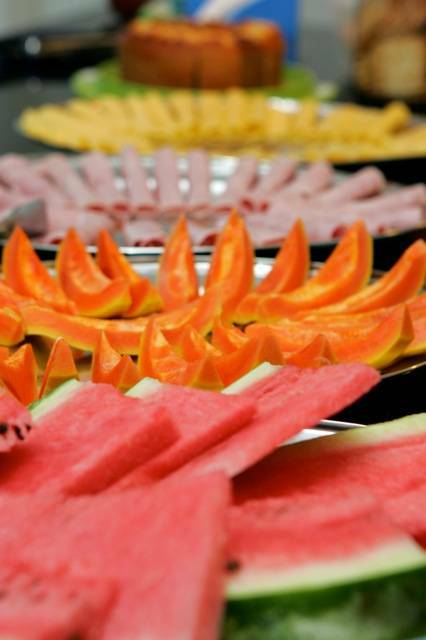 Offering a fantastic complimentary breakfast and free Wi-Fi internet, and linens. 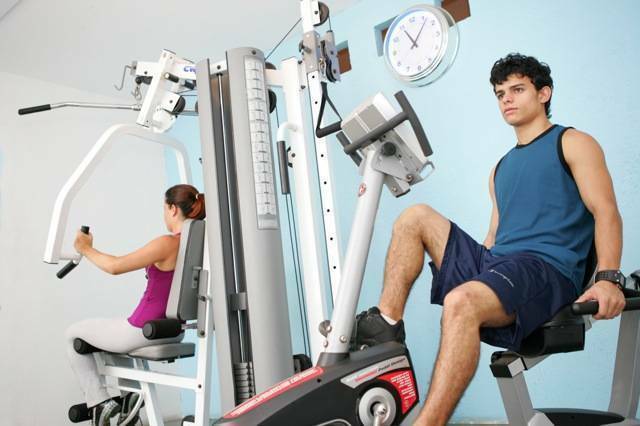 We also have a gym, elevator, game room, open kitchen, laundry machines, cable tv and the capacity to accommodate up to 150 people. By far the best and largest hostel in Salvador. Everything you need while on your vacation is all within walking distance such as beaches, restaurants, night life, supermarkets, travel agencies, banks, ATM's, a shopping mall and major bus stops. All rooms have en-suite private bathroom and most have air-conditioning. We have shared dormitories for 4, 6 or 8 people. 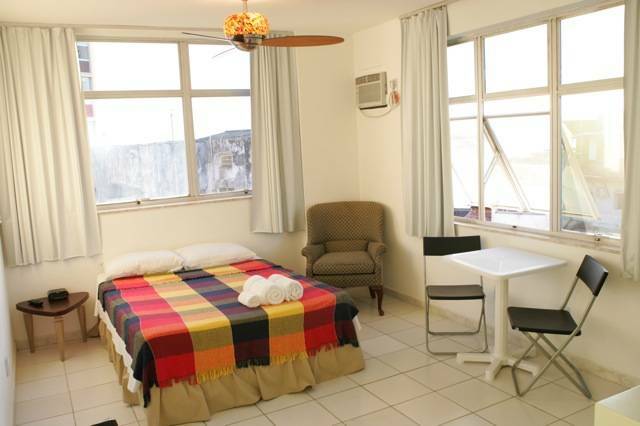 We also have private suites with TV, electronic hotel safe, hair-dryer and mini-fridge in the room. Come enjoy the company of international travelers and the Bahia experience in our hostel located in the heart of Salvador & Porto da Barra Beach, voted one of the 'Worlds Sexiest Beaches' featured by Condé Nast Traveler on Yahoo. 24 - Horas Segurança 16- Recepção Geladeira Microondas Cafê da manhã Secador de cabelo Despertador Wi-Fi Internet gratuito. acesso a Internet completamente gratuito. You need a valid credit to book online - we accept them all. Your credit card will be charged for a 10% deposit (down payment) and a booking fee. Once you have selected the number of people and number of nights you will be prompted for your credit card details to confirm you're booking. You will receive an on-screen confirmation of your reservation which you should print and bring to the hostel. The balance due when you arrive at the hostel will be clearly displayed on your booking confirmation. You can make a reservation for up to 10 people online. If you have an enquiry for 10 or more people please send us an email with the group request. We will do our best to reply to your group enquiry within 48 hours. Take the executive bus Campo Grande/Praça da Sé and get off at Praia do Porto da Barra. Take the bus: R3-Vale dos Rios-STIEP and get off at Praia do Porto da Barra or go thru the walking bridge to Iguatemi shopping center and take the executive bus Campo Grande/Praça da Sé and get off at praia do Porto da Barra. 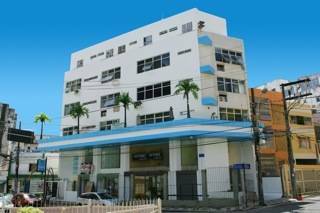 We are located at Rua Barão de Itapoan, nº60 in a Blue and White building.